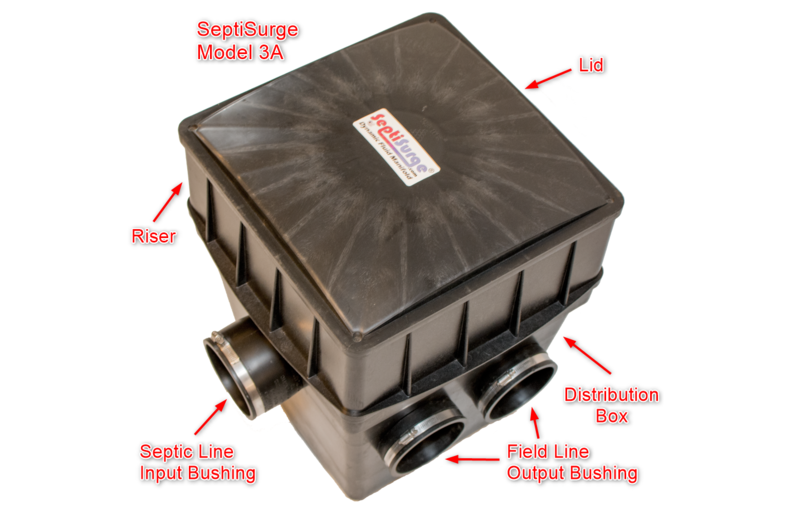 The SeptiSurge Model 3A is a dynamic fluid manifold that takes gravity field line septic effluent distribution systems to a new level! The purging action of this “plug & play” system not only keeps the outlet ports free from obstructive material but also ensures all of the outlets receive fluid, even if the distribution box develops an out-of-level condition. 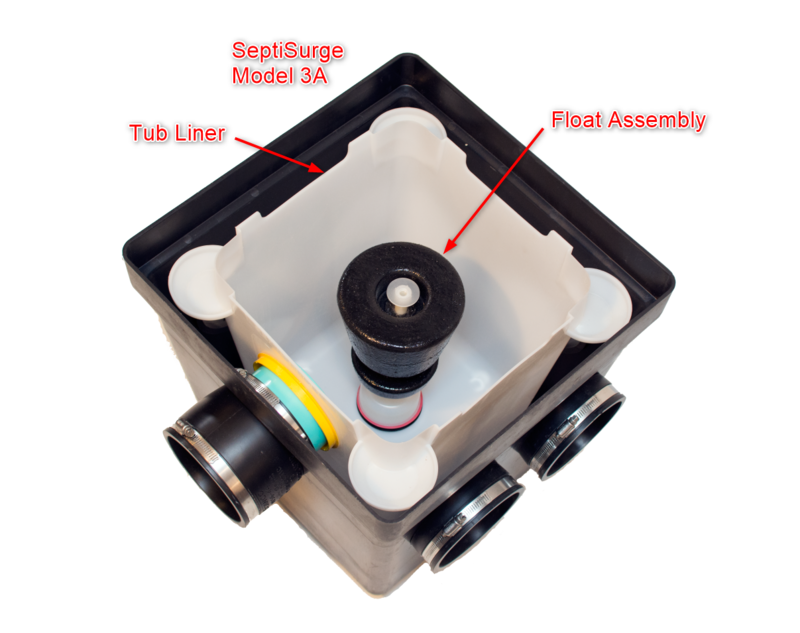 The purging action of the SeptiSurge occurs when fluid entering the distribution box accumulates sufficiently within the inner liner to activate the center float valve. 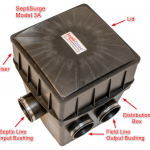 When the valve deploys within the box inner liner, fluid flows into field lines until the valve closes. Incoming fluid then accumulates in the tub for the next cycle. 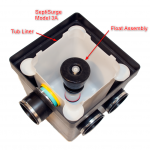 The riser and surface lid allow for easy access without the “hunt & dig” process.